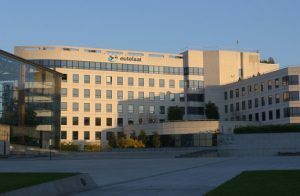 Satellite operator Eutelsat’s stock is undervalued despite a lack of growth potential, particularly in relation to its core video business, according to an analysis by Berenberg. According to Berenberg’s analysts, Eutelsat has different “geographical and application exposure” than struggling peers Intelsat, and SES and its focus on cash-flow generation is “a key differentiator” for investors. Berenberg remains pessimistic about the operator’s video revenues, , working on the assumption that “Eutelsat’s video business never grows again”. However, it says that material capex savings when video satellites are retired, particularly in relation to the Hotbird constellation, should boost EBIT and free cash-flow. Eutelsat is also expected to make a cash tax saving this year thanks to French tax rules relating to communications satellites, which could help give it a boost. Berenberg argues that this has been underappreciated by investors, who have been more focused on the windfall expected by SES and Intelsat from the sale of C-band spectrum in the US, something that Eutelsat will not benefit from. Berenberg set a buy recommendation with a price target of €19.